Sharri Clark received her Ph.D. in archaeology from the Department of Anthropology at Harvard University. Her dissertation research focused on the terracotta figurines from Harappa, particularly their archaeological and social contexts. 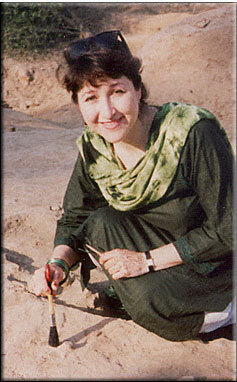 Her research utilized the collections of the Department of Archaeology and Museums, Government of Pakistan, including those excavated by the Harappa Archaeological Research Project and those from earlier excavations stored in the Harappa Museum, the National Museum of Pakistan, and the Lahore Museum. Artifacts excavated from the site of Harappa in the collections of the Archaeological Survey of India and the National Museum of India are also included.